UK Prelim GDP q/q is a first GDP release for the Q4 of 2017 period, and since it is the first release for the quarter it is also the most likely to surprise the market, thus adding more volatility if we were to get a surprise. I’d wait for the release before taking any position on the GBP as this is a major one for the currency. Considering recent hawkishness in the economy and the start of interest rate tightening cycle by the BOE, a stronger than expected release should spark another sentiment shift into more demand for GBP, therefore we could see a persistent and lasting support for currency. Since this is the first release of the 4th quarter GDP for 2017 (Q4 2017), we’re likely to get plenty of reaction if we get a surprise today, as first releases have the most potential of surprises. Considering the UK has already triggered ‘Brexit’ with negotiations on the way, any surprise in this release could have a compounding impact for the medium term. We´ll still be looking to trade the release using ours after news retracement method. 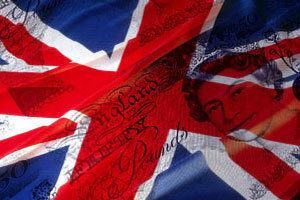 Our surprise factor is around 0.3% as we´ll look to possibly SELL GBP at 0.1% or worse, and BUY GBP at 0.7% or better. Historically, if there is an 80% of chance that our S. Factor hits, the market will move up to 50~70 pips within the hour as GDP is a very high impact report. I’d recommend using the Recommended Pairs from above as they are based on my CSM, which should provide the best combination of currency pairs to trade based on better/worse news… of course, you can also trade the default pair: GBPUSD.